We answer the question: How Do you Submit Content to Hanley Wood Publications? 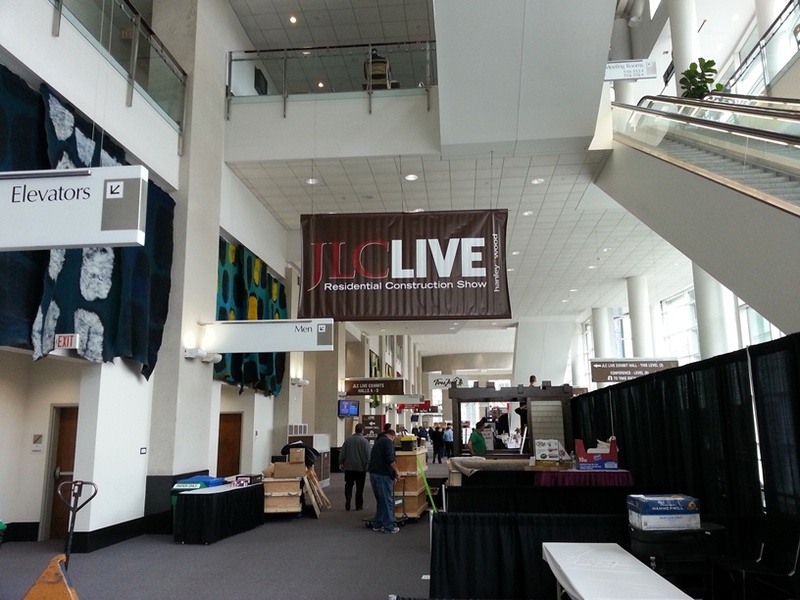 For part two for this article including featured products, Press for Products from JLC Live. 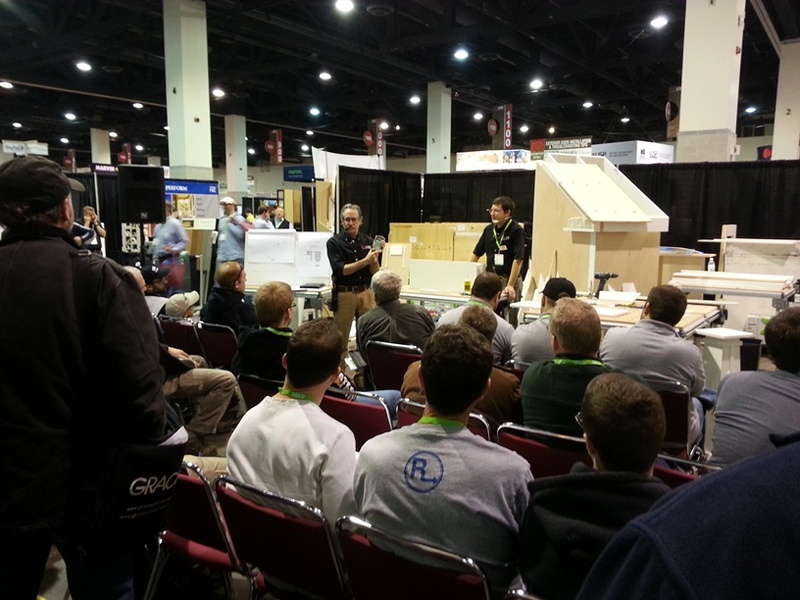 For much more on trade shows from Building Moxie, the category Trade Shows. If I had a dollar for every time I was asked …“What brought you up to Providence for this year’s JLC Live?” I’d have … idk … like $14. I wanted to compare this Show to the Remodeling Show. That being an event I have been (loosely) associated with. 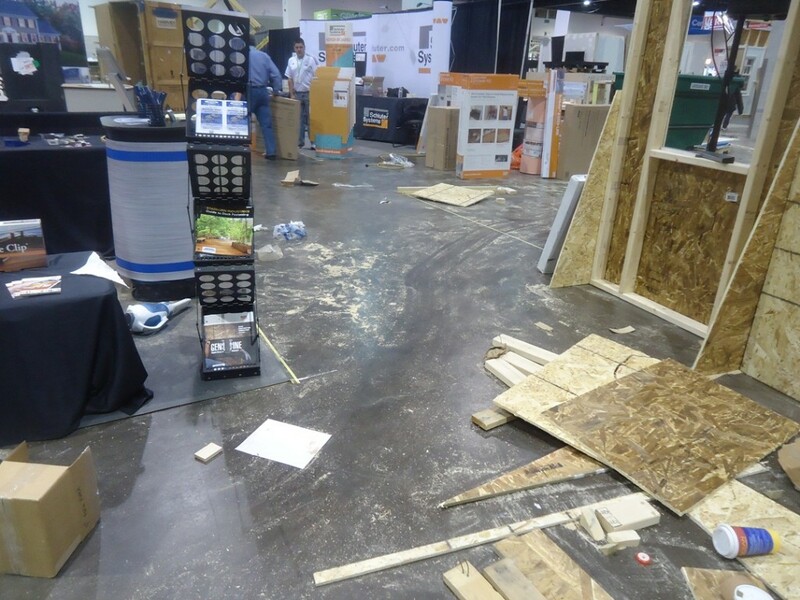 And I wanted to attend a Residential Construction Show that perhaps I wasn’t so involved with. 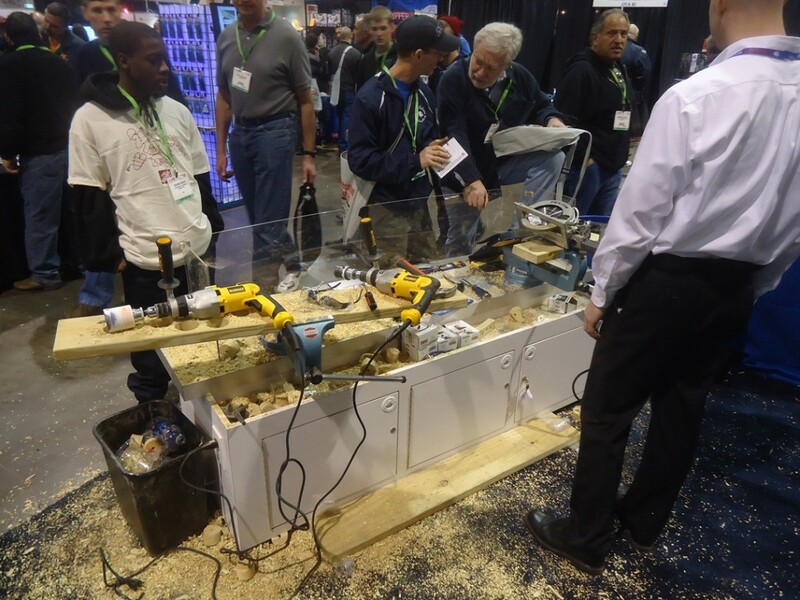 As it stands, the Journal of Light Construction (formerly New England Builder) hosts two hands-on, live-action trade events yearly. And this one in Providence, as I understand it, pulls very, very well. The assumption to why, of course, because of those deep New England roots. 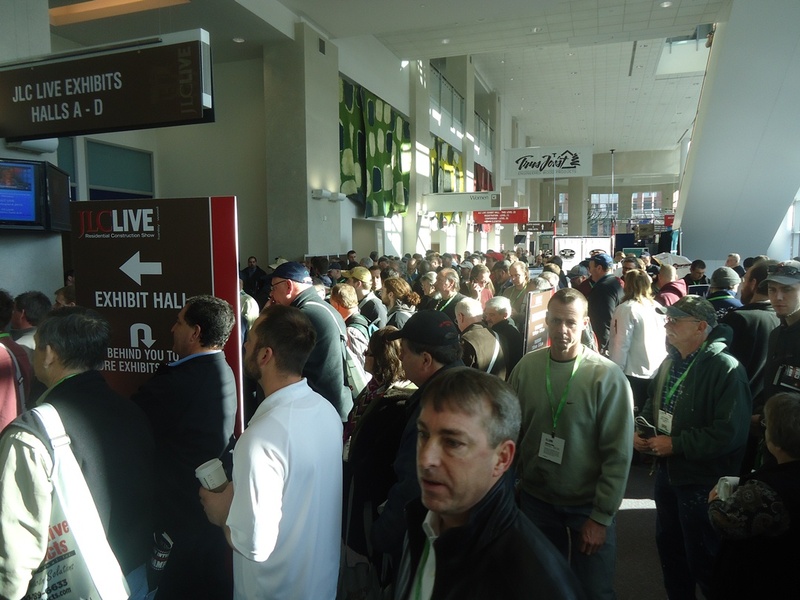 I headed up for three days last week and found that the Show was in fact pretty lively (Standing Room Only in many of the on-the-floor clinics on Friday). 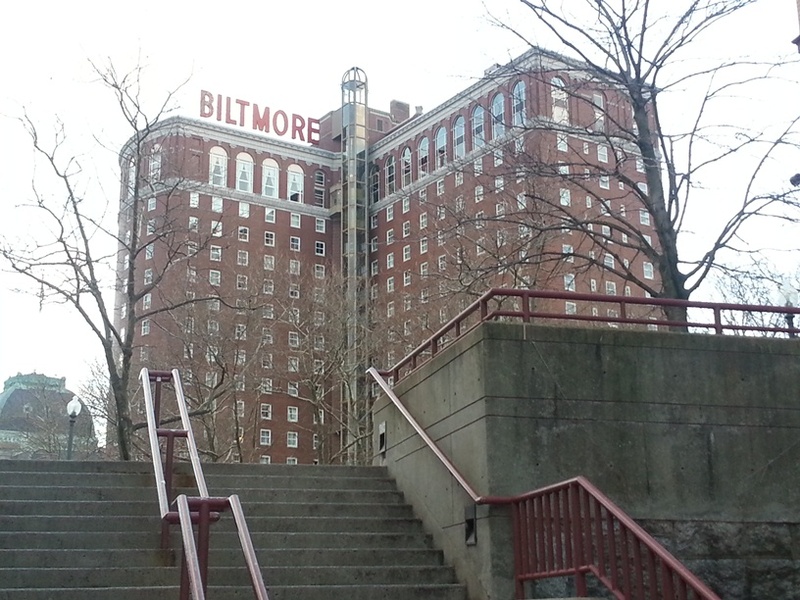 When not tied to an obligation and when not roaming about the streets around the Providence Biltmore in Providence’s Art District, I sat and enjoyed some spectacular best practice presentations from some of the industry’s brightest minds. Mike Sloggatt shared time in the Framing and StairBuilding Clinic, but it was Mike’s presentations that I was most interested in seeing. He had the only sessions I doubled up on. 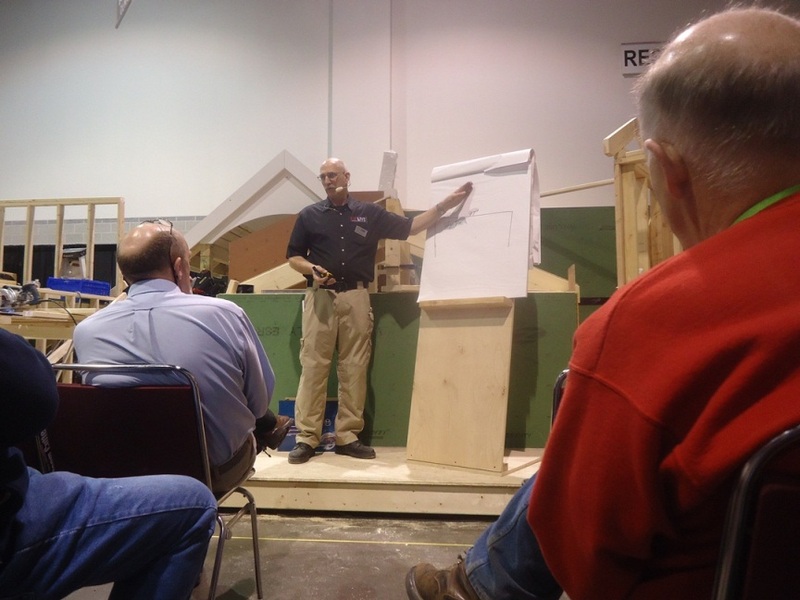 I caught his presentation on Wall Framing Strategies and Roof Framing to bookend the first day. Mike, though primarily a remodeler, has come to embrace some of the techniques that production builders employ. This includes “framing in kits” – cutting framing for window packages (or perhaps doors), as well as for common walls, all at once and up front. Mike uses some nifty tools, none of which are really revolutionary, complex or new. He uses a story pole for quick repeat cuts. He totes or builds a site-built square for racking, squaring and tabling lumber … for quick gang cutting. Many of you have seen my own temp cut table that I have almost permanently set up in the rear of my house (ha!). Well, Mike one-ups this. By being very particular about selecting a piece of scrap ply, which he looks to crown, and then by strapping 2×4 scraps across it, he can cut virtually anywhere along its length. 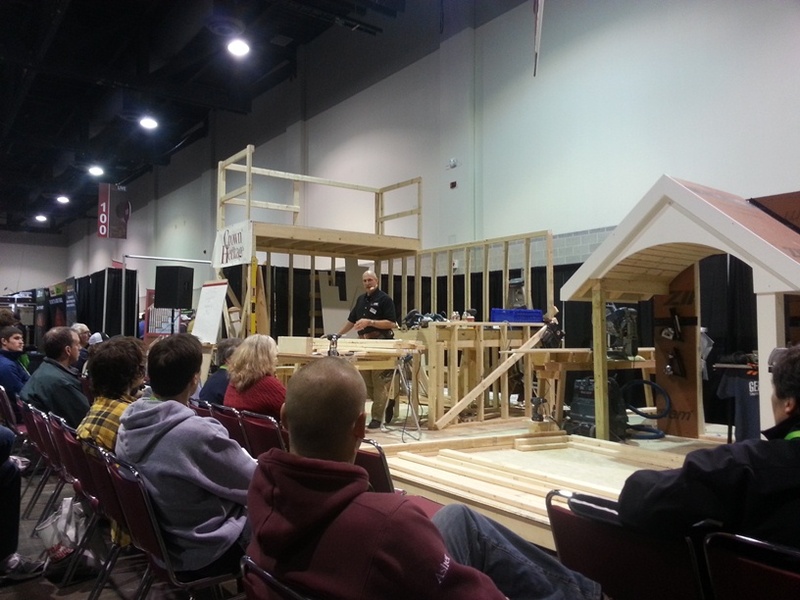 In the afternoon session, he took us through the basics of roof framing. (Something I find I’m very, very weak on). Roof framing as Mike presented it is a simple matter of mathematics. Despite all that might seem to go into it. “We are most concerned with determining the angle(s) of a triangle,” Mike says. 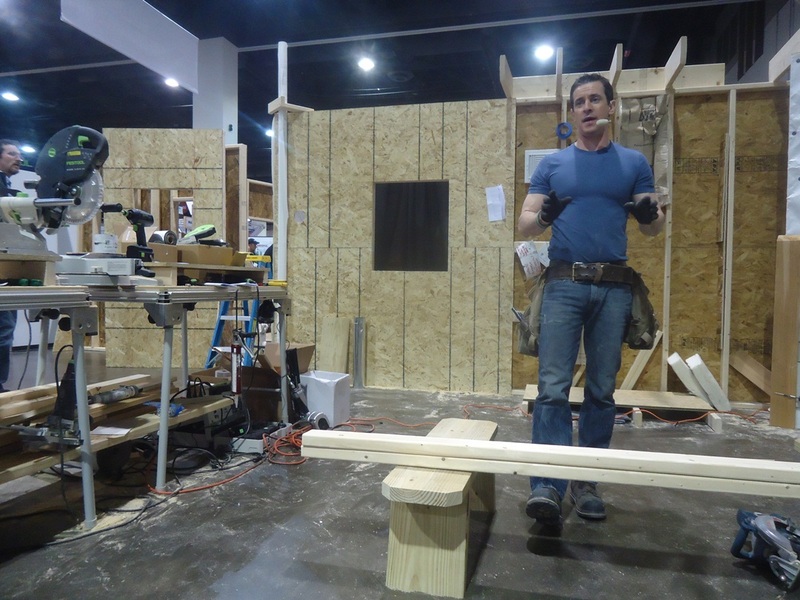 While the framing square can be an incredibly useful tool with laying out roofs, and especially with making seat cuts, Mike worked very efficiently using a construction calculator. While I am tempted to layout the steps that Mike prescribes for determining angle, lengths, as well as for setting the ridge, perhaps it is best I point you instead to an article he did for Gary Katz’s This is Carpentry — Common Rafter Framing. 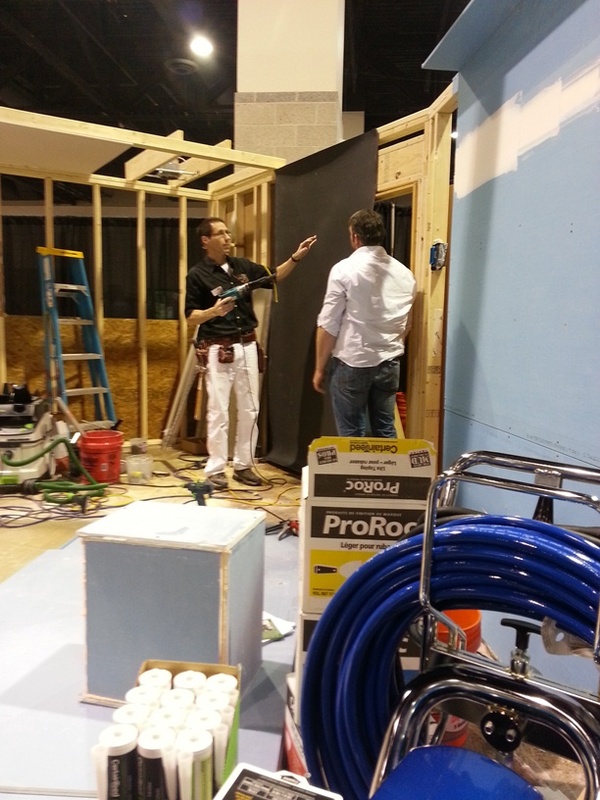 Myron Ferguson manned the Drywall Clinic. I knew Myron because I in fact own one of his books – Drywall – Professional Techniques, Great Results. (He didn’t know me.) I sat in on his presentation regarding Sound Control. To nutshell sound, there are two kinds – airborne and structure-born. While insulating and sealing (with expandable foam and acoustic-rated caulking) are obvious good practices. Certain design decisions too have a big impact on sound transmittance, he said. Hi-hat recessed can placement (and number), heat registers, door placement and further any break in the drywall, including for electrical switches and outlets, can dictate how freely sound can move. Where a good design, which takes into account sound, can help mitigate some of the airborne offenders, Myron suggests. When addressing structure-born sound look at products and techniques that provide de-coupling. Myron introduced a product new to me – Mass Loaded Vinyl, an 1/8″ sheet good available most commonly in four foot rolls. As presented by Myron the vinyl could be installed either inside or out, but I think I’d have to look at other thermal and air movement information before I went so far as putting it on a home’s exterior. MLV may be installed not only behind drywall but it can also be used overhead (working in a team perhaps) and underfoot. Old friend Mark Clement was in the house. 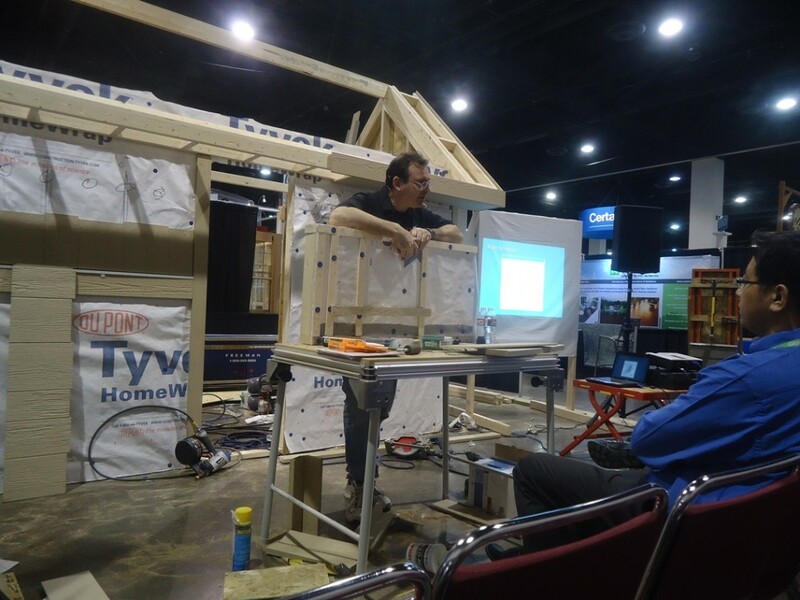 Mark manned the Building Performance space and I sat in on his presentation regarding Old House Energy Updates. As Mark puts it, and when considering how to approach any work where plaster is present, it is a matter of … decisions, made only after answering a series of questions. Should the client (or we, if we are working in a room ourselves) stay or go? Does the potential of what can be gained (through energy updates and other retrofits like fire-blocking) outweigh the lead-based, and other, risks associated with removing plaster? While the RRP Rule for remodelers specifies methods for handling the removal of plaster, Mark provided additional tips for working both within and beyond the Rule. If deciding to remove plaster, he suggests protecting floors with Ram Board or perhaps with a sacrificial piece or two of drywall. Turning off heating and cooling equipment, as well as sealing registers and returns is important. Mark told of the effectiveness he’s seen with site-built, self-closing plastic fitted screen doors. When slammed, these doors create a negative pressure effect within the room, forcing potentially hazardous dust back inward. One member of the audience, too, chimed in suggesting that he has had some success running a small clothes steamer (hmmmm, maybe a standard humidifier?) during tear out. The added humidity in the room, he suggested, helps weigh down and control dust. I ended my series of sessions with Greg Burnet’s bit on Installing Siding. Sponsored by LP Smart Side, Greg is LP’s lead siding trainer for a lack of a better way to put it. 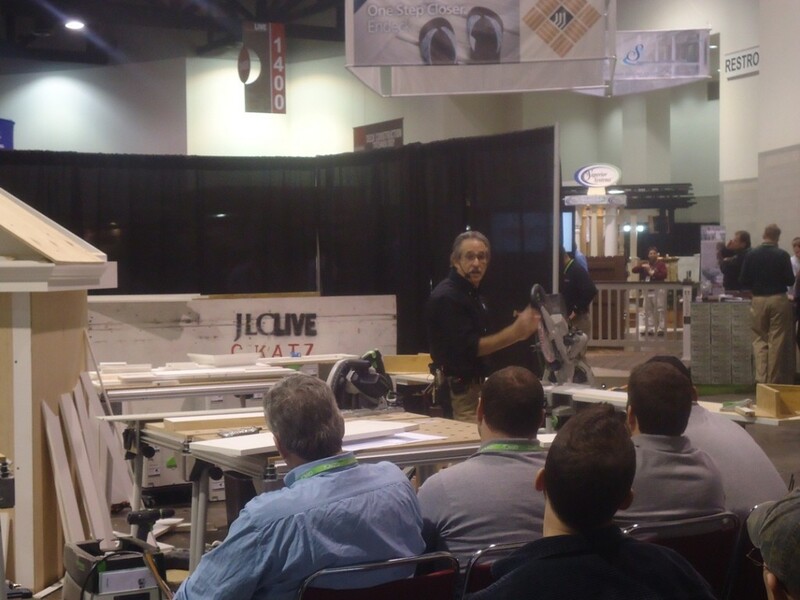 He walked us through some of the recommended best practices with installing this engineered wood product. More impactful, I felt, and while not required with SmartSide, Greg ended his segment discussing rain screens. In a lot of cases, I had to trade one presentation or appointment for another. There was just so many clinics that I would have liked to have seen. There were many highlights, though, beyond what I could have picked up in these sessions. Unplanned spottings of Gary Katz became almost a fun game (sorta in the vein of “punch-bug” … surely, and yeah, I was the only one playing. ha!). I grabbed a quick chat with him while he was in between sessions on Thursday. You’ve got to admire all he has done for the industry and his sincere passion for the craft. I had inspiring (power) lunches with A Concord Carpenter, Robert Robillard and Sue Burnet of ToolBelt Productions (Greg’s wife and partner). I spotted Heather S. of Baltimore’s DAP Products. And I had a fantastic time at the group dinner Friday night. I met some great guys from Vermont, while also sitting across from Myron the Drywaller (mentioned above). The stories just seemed to swirl. It was fun chatting too with Andy Engel the newest editor with Fine HomeBuilding. For Andy, and on following up with some promised hot dog research – I spent an afternoon canning pepper relish (for quick cash) while passing through, or near, Danbury, CT in 1995. The name of the hot dog stand I believe was Blackie’s – but I can no longer find a location in Danbury. I bumped into David Frane, editor at Tools of the Trade, and had the opportunity to speak with Tim Healy of JLC. I asked them both about the process of submitting to their magazines. According to Tim, and speaking only about JLC, the magazine is always in need of new contributors. Tim ended our conversation saying that “building envelop stuff is big right now … water management, flashing and roofing.” These are good topics to pitch. Typo – it’s Mike Sloggatt. Thanks for the update – I didn’t make it this year so nice to see the reports. You’re probably still hung over from the “after hours.” As long as we’re quibbling, it’s “formerly New England Builder” too. who, me? noooo. oh and ummm … you’re hired! thanks Dan.